At Big Time Clock Company, we understand the value of time. We believe that time is observed for the important moments in life. Borrowing it from our busy schedules at every interval, we store it up for what matters to us the most. And we believe our time is best invested when we're together. 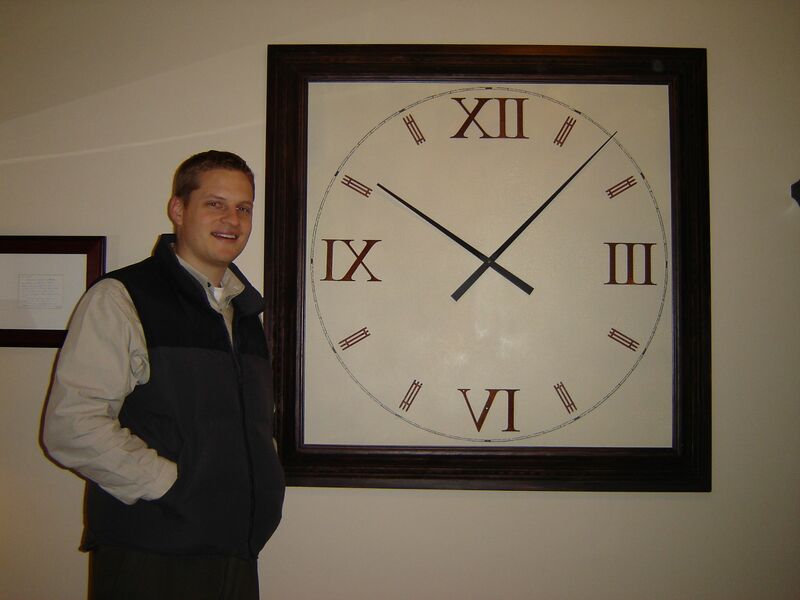 Big Time Clock Company envisions a new generation of people who use big clocks to remember big priorities in their homes, businesses and organizations. Our mission is to create quality timepieces that inspire people to redeem their time for what matters most. Our goal is to provide customers with such extraordinary quality, value and choice that our wall clocks become focal points in their homes, businesses and organizations. 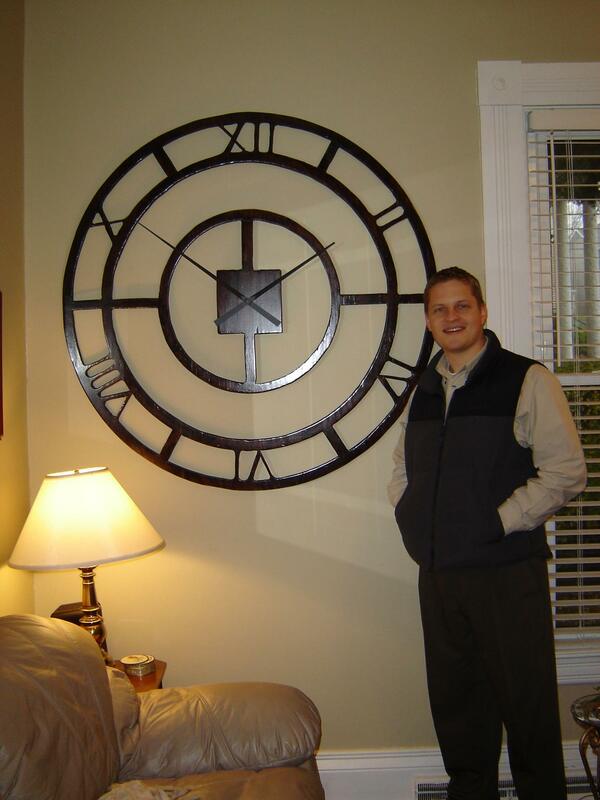 Big Time Clock Company is a family-owned business operating from the heart of the midwest in Dubuque, Iowa. All of our clocks are made in the USA using components from the US as well. We consider it a privilege to provide our customers with an extraordinary and exciting experience that extends from purchase through installation, and we strive to be worthy of their high esteem. "Big clocks. How did you get into that?" Just about everyone wants to know this. The bottom line is that I like big clocks. I like design that makes a statement. The retail marketplace was lacking attractive, oversized wall clocks, and so I made some of my own. In 2004 I sat down and sketched a design for a great big clock—something massive that would fill a whole wall in my home. Using my dad's wood shop, I spent a few weeks cutting it out, sanding it smooth, and finishing it to match the style of my home. Hanging it on my wall was immensely satisfying for me, and I immediately set to work building another one. They were more than clocks and more than art—they were wall art with utility! Believing that discerning customers value choice above cost, and finding a lack of choice in the marketplace, I endeavored to create a new business model in the large wall clock industry. I asked, “Why shouldn’t customers be able to choose a clock design and its size, finish and components?” My solution was to create an online storefront where customers could enjoy these new levels of customization. Big clocks. Big choices. Big value. Established in 2011, Big Time Clock Company provides customers with exceptional value by offering a wide selection of large, customizable wall clocks to fit any aesthetic.